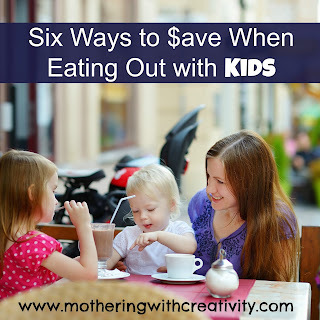 I've written before about why we take our children out to eat with us. We still take our children to restaurants with us, even though we've grown by 1 since then, and the crazy factor has gone up just a little. Sometimes I still leave restaurants with raised blood pressure, but sometimes a waiter will compliment my children's behavior or mention how polite or well behaved they were, and THAT totally makes all the hard work worth it! 1. Skip the sodas. This is a particularly helpful tip since soda not only costs more money, but it is also terrible for your body. In the interest of being healthy and saving a few bucks while you're at it, skip the sodas and choose water instead. Since most places charge between $1.75-$3 per person for soft drinks, you'll save a small chunk right off the bat. 2. Skip the kids meals. Depending on which restaurant we find ourselves dining out at, we may opt out of kids meals altogether and purchase our children a regular pizza to share. There's no reason to spend $6 on a kids meal x 4 kids when they all want the same thing, which just so happens to be on the regular menu for less money and will feed them all. Some restaurants serve large pizzas that cost less than 4 children's pizza meals (and is sometimes more food). 3. Share meals. At restaurants where we choose to go for the kids meals, the kids usually share. Two or three kids meals will feed all four children (again, how far the food goes depends on the restaurant). We just ask for an extra plate, and divvy up their food when it arrives. Some restaurants also serve family style, which provides another great and easy way to share food. If Ben or I have french fries, we portion some out to share with the kids. 4. Utilize kids nights. Some restaurants offer kids nights. Many times you can get one free kids meal for each adult meal purchased (like at Famous Dave's). 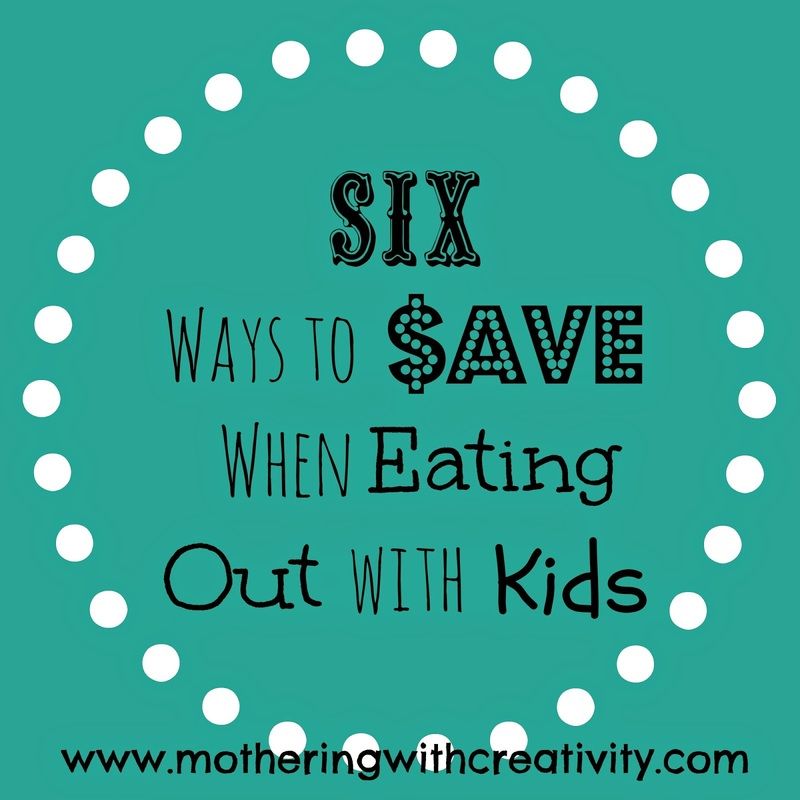 And, since our kids share meals anyway, we can often get away with our two free kids meals. Check local restaurants, which also tend to offer kids eat free nights. 5. Search online for coupons. Many local and chain restaurants offer coupons. Places like Chili's and Red Robin always seem to have a coupon out there for use. Local restaurants also seem to do this, but often you must sign up for their emails before you see any of those coupons. I always do a simple Google search for coupons for a particular restaurant before we go. 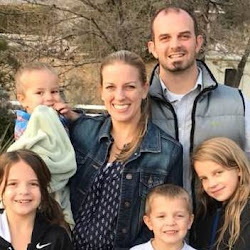 We used a Chili's Kids Eat Free coupon just this week and our family of 6 ate dinner for $35. Also, it's super important that you remember that you tip off the ORIGINAL TOTAL, not the discounted total. 6. Skip the "extras." Pre dinner chips and dip are my favorite, but honestly, they leave me full before my meal even arrives! While an appetizer is nice, skipping it will leave more room in your belly for your main meal, and more money in your pocket. Skipping dessert is another extra that can keep a good chunk of cash in your pocket. But, if you're like me and LOVE dessert, buy just one or two to share among everyone. The portion sizes are huge anyway, and there's no reason one or two won't feed a whole family at most restaurants. 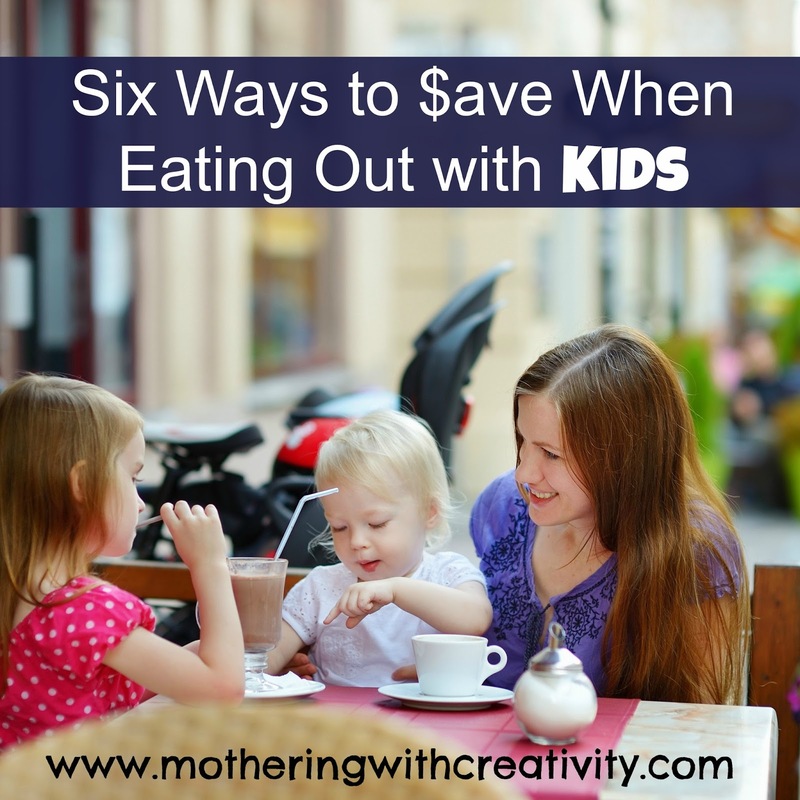 Using some of these tips will help you to keep your expenses down when you do choose to eat out with your family. What other tips do you have for saving a few bucks while dining out?